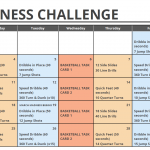 Our December Fitness Challenge Calendar is here! Students are challenged each day to participate in the activities listed on the calendar. 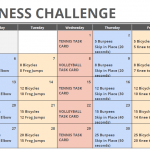 For December, the exercises include pushups, crunches, arm circles, and bicycles. Each week, the number of repetitions for each fitness exercise increases. Please keep in mind the number of repetitions is meant as a guide, and can be adapted as needed based on age group and skill level. Wednesdays are Cardio Day, where students will spend the alloted time either jumping rope, practicing their hula hoop skills, jogging in place, or a combination of these. The calendar also includes task cards for each challenge on pages 2 and 3, so you can show your students images of the correct way to do the activities. Winter Break is a great opportunity for kids to spend time excercising with their family and friends. Encourage and challenge students to spend time outdoors (depending on the weather) and increase their physical activity over break. They can get together as a group to complete the challenges each day. Send students home with the printed fitness calendar, and if you have a parent newsletter, make sure to mention the calendar and the importance of staying active during vacation. 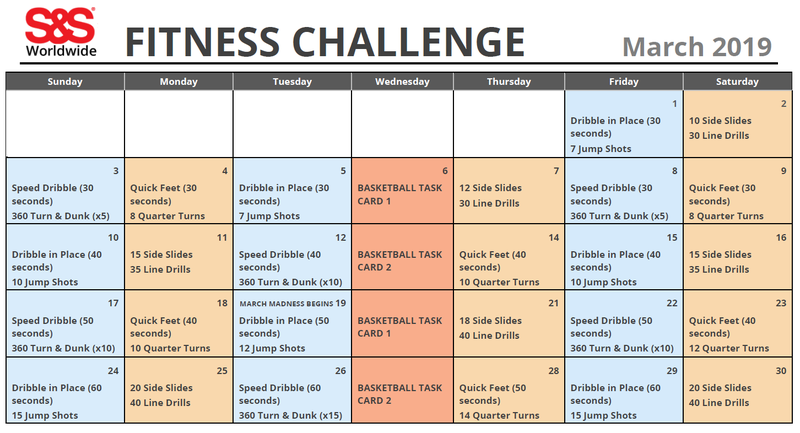 Tip: Use the printable worksheet below from Active Schools to fill out the exercises or activities each week. The sheet allows you to record the activity on each day of the week! This is a great resource to go along with our calendar this month. Download the printable worksheet here. 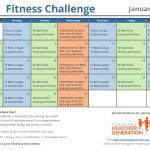 This entry was posted in Fitness Challenge Calendars, PE Central and tagged active play, afterschool, Alliance for a Healthier Generation, December Fitness Challenge, Fitness Calendar, Fitness Challenge Calendar, physed, Physical Education, printable PE calendar by S&S Worldwide. Bookmark the permalink. 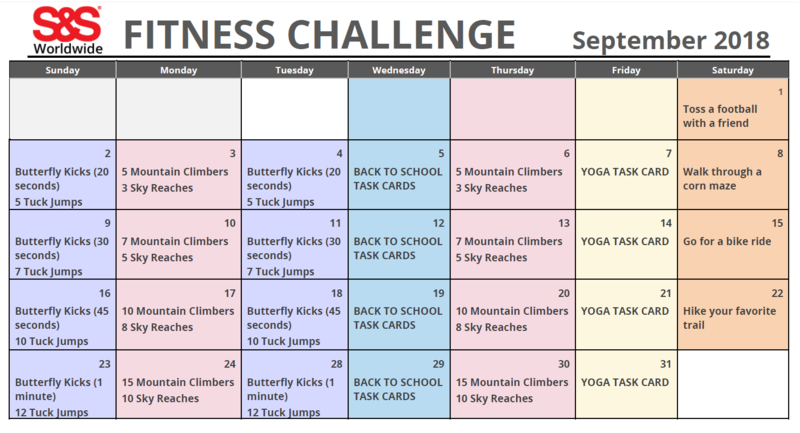 I LOVE the Fitness Challenge Calendars! 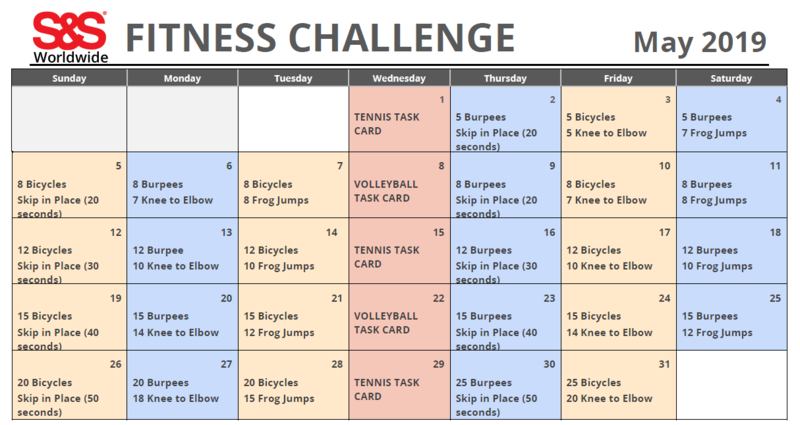 I print and post them on a special Fitness section on our bulletin board for everyone to access. The pictures are perfect demonstrations so that students can follow them easily. Teachers look forward to the beginning of each month to see what’s in store. Thank you!!! Hi Sandra, thank you so much for letting us know how you use these calendars! We love to hear feedback. It’s so great that the teachers look forward to them.